This is a guest post from Holly Johnson. Holly is a 32-year-old wife, mother of two, and frugal lifestyle enthusiast. She blogs about saving money, frugal habits, and whatever is on her mind at ClubThrifty.com. In 2006, my husband and I bought our first rental property. 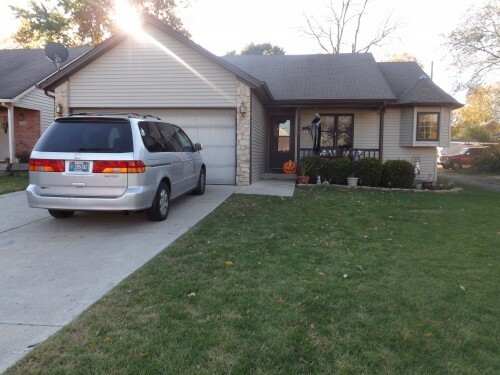 We put 10 percent down ($8,500) on a small brick ranch in the same Midwestern community that we call home. I had gotten my real estate license several years prior, so I had some basic knowledge to build from. We still weren't 100 percent sure about what it meant to be a landlord, but we thought that it would be a great opportunity to build long-term wealth. We also hoped that the home would provide a passive income stream for us once it was paid off. A few months later, we converted our starter home into our second rental, and we bought and moved into our third home, where we currently reside. However, the truth was quite different than what we had pictured. 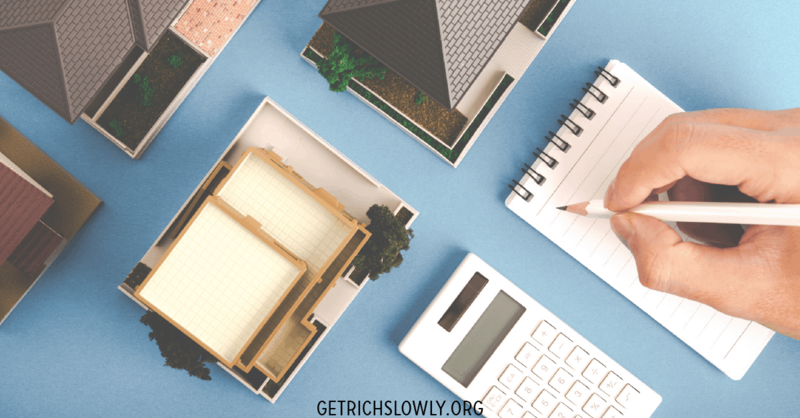 Soon, we found out that owning rental property requires a lot of hard work, patience, and planning. Being a landlord wasn't turning out to be the glamorous hobby that we envisioned at all. Still, we were excited about the future and moved forward in our new role as landlords. Owning rental property is a great concept for building wealth. On our end, it required a cash down payment and will require years of cash support via repairs, upkeep, and major component replacements. At the same time, someone else is paying off a property for us. Once the homes are paid off, we will have two additional income streams to add to our earnings from our 9-to-5 jobs. Even after paying for repairs, the cash flow will be significant and will (hopefully) help us reach an early retirement. We often enjoy months at a time without thinking of the properties at all. Additionally, our properties generate a small amount of side income, though at this point we use the additional funds to accelerate their payoff. Holly's first home, which became her first rental. There are times when it is smooth sailing, but that is not always the case. Owning rental property can be a ton of work. It takes patience and the ability to deal with many different personality types. Each time one of our properties becomes vacant, we have to place ads to find a new tenant. Sometimes searching for a new tenant can bring a lot of shenanigans. For instance, we have had people lie on their application about their employment or credit rating. Others have been completely dishonest about having a job at all. After checking one person's application, we found that they had multiple evictions on their record. Obviously, we didn't rent to that person! Even after you find a qualified tenant, sometimes problems will still occur. Some of our tenants have been habitually late paying their rent. We have a late-fee stipulation in our lease, but we have never charged anyone. We simply don't need the added drama, although we are probably just perpetuating the problem. Still, as long as they pay within a few days I don't get too worried about it. We just choose to pick our battles. Occasionally, being a landlord means living out your own landlord horror story. In 2010, one of our tenant families was nearing the end of their lease. We hadn't been called recently and – therefore – hadn't been at the house for many months. However, I happened to drive by one day and noticed that something about the house looked really strange. I drove by again and still couldn't put my finger on it, but we would soon find out. A few weeks later, the tenant called and wanted to arrange a meeting. We arrived at the house and walked toward the front door. As we approached, I realized why it looked so weird: The picture window on the front of the house had been replaced with a different window! I knew that this wasn't a good sign. Apparently, they had broken it somehow. Instead of calling us, they found a salvaged window of the same size and installed it themselves. The old and wooden frame didn't match the newer vinyl replacement windows, so it stuck out like a sore thumb. Unfortunately, that was the least of our problems. Upon entering the house, we realized that the drywall in almost every room had giant holes punched in it. The carpet, which had been new when they moved in, was stained beyond recognition. All of the interior doors in the house were missing. The refrigerator was missing. Someone had busted in the front door, and the entire door frame had been hastily and obviously glued back together. The house was an absolute disaster area, and the tenant had asked us for a meeting in order to resolve the issue. After some discussion, the tenant agreed that he would pay for some of the repairs to the home in order to avoid getting sued. We spent the next month and almost $7,000 repairing all of the damage. After another friendly meeting, we reached an agreement with the tenant and he repaid approximately $3,200 toward the damage that his family had caused. He didn't pay for all of the repairs, but we were still satisfied and ready to put it behind us. Luckily, I don't worry about it too much. I don't regret buying our properties, and I think it was one of the best decisions we have ever made. While being a landlord can be stressful and expensive, I believe that the future rewards will be worth it. Our two rental properties will be paid off in approximately 14 years…right in time for our two small children to begin college. We could use the rental income to pay for our children's education. We could use it to pay for their living expenses while they study. If they go to college nearby, we could even provide them with a free place to live while they pursue their schooling. Once our kids finish school, the nearly $2,000 per month in rent will be ours to save or invest. The possibilities are endless. Owning rental property can be stressful and difficult. It can test your patience and even your faith in humanity. Yet, I think it is definitely worth my time and effort. While it certainly isn't as passive as we imagined, I believe that our properties were a great investment and have no regrets at all. Is it worth it? I say yes. 1. Use your intuition. We have been advised by others to never rent to anyone with bad credit. We feel differently and tend to rent to people with bad credit as long as they are upfront about it. I'm glad that we listened to ourselves because our best renters have all had terrible credit. 2. Keep your house nice. Saving money is a good thing, but don't do it at the cost of your renters! If something breaks, have it repaired quickly and correctly. Between tenants, make sure that your home is clean and in repair. A nice clean home will attract renters who will work hard to keep it that way. 3. Have a large cash cushion. Owning rental properties means that you have more liabilities. You have more than one air-conditioner, furnace, refrigerator, and roof to worry about. You need to have enough cash to cover the cost of replacing all of these items. If you don't have a large enough cash cushion, you should probably wait to buy rental property until you do. Have you ever considered buying rental property? If you already own rental property, do you think that you made a good investment?